LONDON • Just after a month from taking flak on social media and having to clarify his comments on how he had felt torn to be racing in "poor" India, Lewis Hamilton again came under fire for another faux pas made on Sunday night. The 33-year-old had been talking on stage at the Resorts World Arena in Birmingham as one of the six finalists for the BBC Sports Personality of the Year accolade, which was eventually won by Tour de France winner Geraint Thomas. The five-time world champion was looking back on his career and discussing the possibility of overtaking seven-time winner Michael Schumacher as the most successful Formula One driver of all time when he referred to his home town of Stevenage as "the slums". He told co-presenter Gabby Logan: "It has been a long, long journey. I have been racing since I was eight and I am very proud to be here tonight. "I have got my family with me, my mum, my dad, my brother and his girlfriend, my uncle Terry. "We all set our goals very high and we did it as a team. "I think the eight-year-old me would be telling me today he is proud. "It was a dream for us as a family to do something different, get out the slums, we would say." He immediately attempted to backtrack on his comments, saying "it was not the slums, but just come out of somewhere and do something". But his off-hand remarks quickly went viral on social media, with netizens venting their fury on him. One Twitter user tweeted it had been "a ridiculous thing to say" and sarcastically questioned how far Hamilton had to "walk each day for water", while others claimed they had "lost respect" for him. 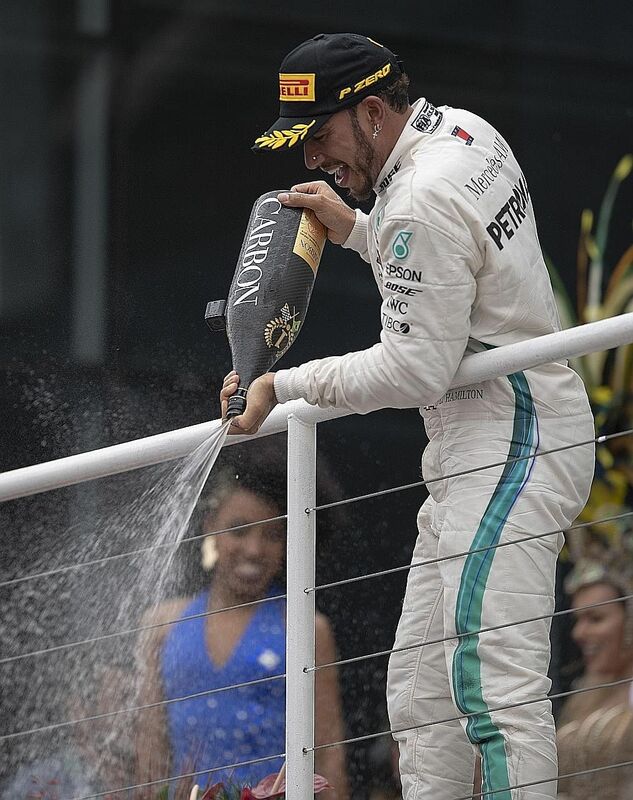 Stevenage Borough Council leader Sharon Taylor later slammed Hamilton for painting the town in a bad light, saying: "It is disappointing that Lewis Hamilton referred to Stevenage as 'the slums' at such a high-profile event. "He clearly realised what he had said and tried to correct it but, sadly, the people of our town, many of whom admire and support him, felt very offended." She also tweeted while "nowhere is perfect, we'll go high and say we are #ProudofStevenage". English para-badminton shuttler Gobi Ranganathan agreed with Taylor, adding he "was proud to fly the flag for Stevenage as it was home" and insisted it "had a lot to offer if people just open their eyes". Hamilton, who now lives in the tax haven of Monte Carlo, has yet to comment on the furore, instead posting videos on his Instagram page to indicate he was on holiday and showing that his private plane had landed in Los Angeles.